HSVMA collects and maintains certain personal information about you when you send us an e-mail or complete any of our online forms, such as when you request information from us, request to become a member, make a donation, subscribe to our online newsletter, or forward a web page or electronic newsletter. Such information may include your name, mailing address, and e-mail address; it may also include the e-mail addresses of those to whom you forward HSVMA electronic content, and any other information collected in the forms. You may be asked to provide credit card information to become a member of HSVMA or contribute to HSVMA. HSVMA also collects certain other information that cannot identify you personally when you visit our web site. This information includes your IP address and your domain name. HSVMA logs these IP addresses and domain names, and aggregates them for system administration and to monitor the use of our site. We use the aggregated information to measure the number of visits to our site, the average time spent on our site, the number of pages viewed, and various other site statistics. This monitoring helps us to provide a more useful and engaging online experience to hsvma.org visitors, and helps us to improve the quality of our content. 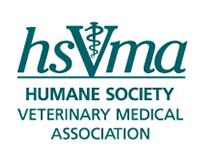 We may use the information you voluntarily provided to contact you regarding animal-related issues we feel you may be interested in, to keep you updated regarding HSVMA's programs, and to extend an invitation to you to support our programs. We may also send such information to the people whose e-mail addresses you provide when forwarding HSVMA electronic content. When we do so, our sole intent is to enlarge our family of informed animal advocates and organizational supporters. Every recipient of our electronic communications can quickly and easily "opt out" of future such communications by following the instructions on any electronic communication we send. If you choose, you may opt out of all marketing-related communication from the HSVMA. If you prefer not to receive marketing-related mailings or emails, U.S. and Canadian individuals may call 202-452-1100. All individuals may write us, at HSVMA, 1255 23rd Street, NW, Suite 450, Washington, DC 20037, or e-mail us at [email protected]. HSVMA also uses analytics data and the DoubleClick cookie to serve ads based on a user's prior visits to our website. Site visitors may opt out of the DoubleClick cookie by visiting the Google advertising opt-out page or they may opt out of Google Analytics by visiting the Google Analytics opt-out page. Google has additional information available about their Remarketing Privacy Guidelines, Policies, and Restrictions. HSVMA uses generally accepted, industry-standard security systems, software, and encryption technologies to protect against unauthorized access to HSVMA servers, equipment, and other components of our online presence. This includes using industry-standard security systems to protect credit card processing information.